Council Directive 90/396/EEC of 29 June 1990 on the approximation of the laws of the Member States relating to appliances burning gaseous fuels (3) has been substantially amended (4). In the interests of clarity and rationality the said Directive should be codified. Member States are responsible for ensuring the health and safety on their territory of their people and, where appropriate, of domestic animals and goods in relation to the hazards arising out of the use of appliances burning gaseous fuels. In certain Member States, mandatory provisions define in particular the safety level required of appliances burning gaseous fuels by specifying design, operating characteristics and inspection procedures. These mandatory provisions do not necessarily lead to different safety levels from one Member State to another but do, by their disparity, hinder trade within the Community. Different conditions as regards types of gas and supply pressures are in force in the Member States. These conditions are not harmonised because each Member State’s energy supply and distribution situation is peculiar to it. Community law provides - by way of derogation from one of the fundamental rules of the Community, namely the free movement of goods - that obstacles to movement within the Community resulting from disparities in national legislation relating to the marketing of products must be accepted in so far as such obstacles can be recognised as being necessary to satisfy mandatory requirements. Therefore, the harmonisation of legislation in the present case should be limited to the provisions necessary to satisfy both the mandatory and essential requirements regarding safety, health and energy conservation in relation to gas appliances. These requirements should replace the national provisions in this matter because they are essential requirements. The maintenance or improvement of the level of safety attained in Member States constitutes one of the essential aims of this Directive and of safety as defined by the essential requirements. The essential safety and health requirements should be observed in order to ensure that appliances burning gaseous fuels are safe. Energy conservation is considered essential. These requirements should be applied with discernment to take account of the state of the art at the time of construction. This Directive should therefore only contain essential requirements. To facilitate proof of conformity with the essential requirements, it is necessary to have harmonised standards at Community level in particular as to the construction, operation and installation of appliances burning gaseous fuels so that products complying with them may be assumed to conform to the essential requirements. These standards, harmonised at Community level, are drawn up by private bodies and must remain non-mandatory texts. For that purpose the European Committee for Standardisation (CEN), the European Committee for Electrotechnical Standardisation (Cenelec) and the European Telecommunications Standards Institute (ETSI) are recognised as the competent bodies for the adoption of harmonised standards in accordance with the general guidelines for cooperation between the Commission, the European Free Trade Association (EFTA) and those three bodies signed on 28 March 2003 (5). ‘Harmonised standard’ means a technical specification (European standard or harmonisation document) adopted by CEN, Cenelec or ETSI or by two or three of those bodies upon a remit from the Commission in accordance with Directive 98/34/EC of the European Parliament and of the Council of 22 June 1998 laying down a procedure for the provision of information in the field of technical standards and regulations and of rules on Information Society services (6) and the above mentioned general guidelines for cooperation. The Council has adopted a series of Directives designed to remove technical barriers to trade in accordance with the principles established in Resolution of 7 May 1985 on a new approach to technical harmonisation and standards (7); each of these Directives provides for the affixing of the CE marking. 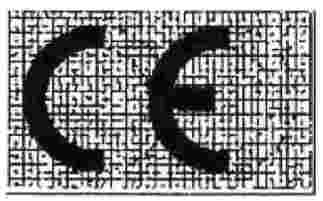 The Commission, in its Communication of 15 June 1989 on a global approach to certification and testing (8), proposed that common rules be drawn up concerning a CE marking with a single design. The Council, in its Resolution of 21 December 1989 on a global approach to conformity assessment (9), approved as a guiding principle the adoption of a consistent approach such as this with regard to the use of the CE marking. The two basic elements of the new approach which should be applied are the essential requirements and the conformity assessment procedures. A check on compliance with the relevant technical requirements is necessary in order to provide effective protection for users and third parties. The existing certification procedures differ from one Member State to another. In order to avoid multiple inspections, which are in effect barriers to the free movement of appliances burning gaseous fuels, arrangements should be made for the mutual recognition of certification procedures by the Member States. In order to facilitate mutual recognition of certification procedures, harmonised Community procedures and the criteria for appointing the bodies responsible for carrying out these procedures should be set up. The Member States’ responsibility on their territory for safety, health and energy conservation covered by the essential requirements should be recognised in a safeguard clause providing for an adequate Community procedure. The addressees of any decision taken under this Directive should be informed of the reasons for such a decision and the legal remedies available to them. 1. This Directive shall apply to appliances and fittings. Appliances specifically designed for use in industrial processes carried out on industrial premises shall be excluded from its scope. ‘gaseous fuel’ means any fuel which is in a gaseous state at a temperature of 15 °C under a pressure of 1 bar. 1. Member States shall take all necessary steps to ensure that appliances may be placed on the market and put into service only if, when normally used, they do not compromise the safety of persons, domestic animals and property. 2. Member States shall communicate in good time to the other Member States and the Commission all changes to the types of gas and corresponding supply pressures used on their territory which have been communicated in accordance with Article 2(2) of Directive 90/396/EEC. The Commission shall ensure that this information is published in the Official Journal of the European Union. Appliances and fittings shall satisfy the essential requirements applicable to them set out in Annex I. 1. Member States may not prohibit, restrict or impede the placing on the market and the putting into service of appliances which comply with this Directive and which bear the CE marking provided for in Article 10. 2. Member States may not prohibit, restrict or impede the placing on the market of fittings accompanied by a certificate as referred to in Article 8(4). the national standards applicable to them in so far as, in the areas covered by such standards, no harmonised standards exist. 2. Member States shall publish the reference numbers of the national standards referred to in paragraph 1(a). They shall communicate to the Commission the texts of their national standards as referred to in paragraph 1(b) which they regard as complying with the essential requirements set out in Annex I. The Commission shall forward these national standards to the other Member States. In accordance with the procedure provided for in Article 6(2), it shall notify the Member States of those national standards which are presumed to conform with the essential requirements set out in Annex I. 1. Where a Member State or the Commission considers that the standards referred to in Article 5(1) do not entirely meet the essential requirements set out in Annex I, the Commission or the Member State concerned shall bring the matter before the standing committee established under Article 5 of Directive 98/34/EC, hereinafter referred to as ‘the committee’, giving the reasons therefor. In the light of the committee’s opinion, the Commission shall inform the Member States whether or not it is necessary to withdraw those standards from the publications referred to in the first subparagraph of Article 5(2). 2. After receipt of the communication referred to in the second subparagraph of Article 5(2), the Commission shall consult the committee. Upon receipt of the committee’s opinion, the Commission shall, within one month, inform the Member States whether the national standard(s) in question are to enjoy the presumption of conformity. If they are, the Member States shall publish the reference numbers of those standards. The Commission shall also publish them in the Official Journal of the European Union. 1. Where a Member State finds that normally used appliances bearing the CE marking might compromise the safety of persons, domestic animals or property, it shall take all appropriate measures to withdraw those appliances from the market and prohibit or restrict their being placed on the market. shortcomings in the standards referred to in Article 5(1) themselves. 2. The Commission shall enter into consultation with the parties concerned as soon as possible. Where, after such consultation, the Commission finds that any measure as referred to in paragraph 1 is justified, it shall immediately so inform the Member State that took the measure and the other Member States. Where the decision referred to in paragraph 1 is attributed to shortcomings in the standards, the Commission, after consulting the parties concerned, shall bring the matter before the committee within two months if the Member State which has taken the measures intends to maintain them, and shall initiate the procedures referred to in Article 6. 3. Where an appliance which does not comply bears the CE marking, the competent Member State shall take appropriate action against whomsoever has affixed the CE marking and shall inform the Commission and the other Member States thereof. 4. The Commission shall ensure that the Member States are kept informed of the progress and outcome of the procedures. EC verification as referred to in point 5 of Annex II. 2. In the case of production of an appliance as a single unit or in small quantities, EC verification by single unit, as referred to in point 6 of Annex II, may be chosen by the manufacturer. 3. After completion of the procedures referred to in paragraphs 1(b) and 2, the CE marking shall be affixed to conforming appliances in accordance with Article 10. 4. The means of certification of conformity referred to in paragraph 1 shall be applied in respect of fittings with the exception of the affixing of the CE marking and, where appropriate, the drawing-up of the declaration of conformity. A certificate shall be issued declaring the conformity of the fittings with the provisions of this Directive which apply to them and stating their characteristics and how they must be incorporated into an appliance or assembled to assist compliance with the essential requirements applicable to finished appliances set out in Annex I. 5. Where the appliances are covered by other Directives dealing with other aspects and specifying the affixing of the CE marking, the latter shall indicate that the appliances are also presumed to conform to the provisions of those Directives. However, where one or more of these Directives allow the manufacturer, during a transitional period, to choose which arrangements to apply, the CE marking shall indicate conformity to the provisions only of those Directives applied by the manufacturer. In this case, particulars of the Directives applied, as published in the Official Journal of the European Union, must be given in the documents, notices or instructions required by the Directives and accompanying such devices. 6. Records and correspondence relating to the means of certification of conformity shall be drawn up in the official language(s) of the Member State where the body responsible for carrying out these procedures is established or in a language accepted by it. 1. Member States shall notify the Commission and the other Member States of the bodies which they have appointed to carry out the procedures referred to in Article 8 together with the specific tasks which these bodies have been appointed to carry out and the identification numbers assigned to them beforehand by the Commission. The Commission shall, for information, publish in the Official Journal of the European Union, a list of those bodies, and the identification numbers it has assigned to them and shall ensure that the list is kept up to date. 2. Member States shall apply the criteria set out in Annex V for assessing the bodies to be notified. Bodies which satisfy the assessment criteria laid down in the applicable harmonised standards shall be presumed to satisfy the criteria set out in that Annex. 3. A Member State which has notified a body must withdraw approval if it finds that the body no longer meets the criteria set out in Annex V. It shall immediately inform the Commission and the other Member States accordingly. 1. The CE marking and the inscriptions set out in Annex III shall be affixed in a visible, easily legible and indelible form to the appliance or to a data plate attached to it. The data plate shall be so designed that it cannot be re-used. 2. The affixing of markings on the appliances which are likely to deceive third parties as to the meaning and form of the CE marking shall be prohibited. Any other marking may be affixed to the appliance or to the data plate provided that the visibility and legibility of the CE marking are not thereby reduced. where non-compliance continues, the Member State must take all appropriate measures to restrict or prohibit the placing on the market of the appliance in question or to ensure that it is withdrawn from the market in accordance with the procedure laid down in Article 7. Any decision taken pursuant to this Directive which includes restriction on the placing on the market and/or putting into service of an appliance shall state the precise grounds on which it is based. It shall be notified without delay to the party concerned, who shall at the same time be informed of the legal remedies available to him under the laws in force in the Member State in question and of the time-limits to which such remedies are subject. Directive 90/396/EEC, as amended by the Directive listed in Annex VI, Part A, is repealed, without prejudice to the obligations of the Member States relating to the time-limits for transposition into national law and application of the Directives set out in Annex VI, Part B. (1) OJ C 151, 17.6.2008, p. 12. (3) OJ L 196, 26.7.1990, p. 15. (8) OJ C 231, 8.9.1989, p. 3 and OJ C 267, 19.10.1989, p. 3. (9) OJ C 10, 16.1.1990, p. 1. The obligations resulting from the essential requirements for appliances in this Annex also apply to fittings where the corresponding risk exists. 1.1. Appliances must be so designed and built as to operate safely and present no danger to persons, domestic animals or property when normally used as defined in Article 1(3) of this Directive. bear appropriate warning notices, which must also appear on the packaging. The instructions and warning notices must be in the official language or languages of the Member States of destination. for forced draught burners and heating bodies intended to be equipped with such burners, their characteristics, the requirements for assembly, to assist compliance with the essential requirements applicable to finished appliances and, where appropriate, the list of combinations recommended by the manufacturer. The instructions for use and servicing intended for the user must contain all the information required for safe use, and must in particular draw the user's attention to any restrictions on use. The warning notices on the appliance and its packaging must clearly state the type of gas used, the gas supply pressure and any restrictions on use, in particular the restriction whereby the appliance must be installed only in areas where there is sufficient ventilation. 1.3. Fittings intended to be part of an appliance must be so designed and built as to fulfil correctly their intended purpose when incorporated in accordance with the instructions for installation. The instructions for installation, adjustment, operation and maintenance must be provided with the fittings concerned. Materials must be appropriate for their intended purpose and must withstand the technical, chemical and thermal conditions to which they will foreseeably be subjected. The properties of materials that are important for safety must be guaranteed by the manufacturer or the supplier of the appliance. Appliances must be so constructed that, when used normally, no instability, distortion, breakage or wear likely to impair their safety can occur. Condensation produced at the start-up and/or during use must not affect the safety of appliances. Appliances must be so designed and constructed as to minimise the risk of explosion in the event of a fire of external origin. Appliances must be so constructed that water and inappropriate air penetration into the gas circuit does not occur. In the event of a normal fluctuation of auxiliary energy, appliances must continue to operate safely. Abnormal fluctuation or failure of auxiliary energy or its restoration must not lead to an unsafe situation. Appliances must be so designed and constructed as to obviate hazards of electrical origin. In the area in which it applies, compliance with the safety objectives in respect of electrical hazards laid down in Directive 2006/95/EC of the European Parliament and of the Council (1) shall be equivalent to fulfilment of this requirement. All pressurised parts of an appliance must withstand the mechanical and thermal stresses to which they are subjected without any deformation affecting safety. Appliances must be so designed and constructed that failure of a safety, controlling or regulating device may not lead to an unsafe situation. If an appliance is equipped with safety and controlling devices, the functioning of the safety devices must not be overruled by that of the controlling devices. All parts of appliances which are set or adjusted at the stage of manufacture and which should not be manipulated by the user or the installer must be appropriately protected. Levers and other controlling and setting devices must be clearly marked and give appropriate instructions so as to prevent any error in handling. Their design must be such as to preclude accidental manipulation. Appliances must be so constructed that the gas leakage rate is not dangerous. Appliances must be so constructed that gas release during ignition and re-ignition and after flame extinction is limited in order to avoid a dangerous accumulation of unburned gas in the appliance. Appliances intended to be used in indoor spaces and rooms must be fitted with a special device which avoids a dangerous accumulation of unburned gas in such spaces or rooms. Appliances which are not fitted with such devices must be used only in areas where there is sufficient ventilation to avoid a dangerous accumulation of unburned gas. Member States may define on their territory adequate space ventilation conditions for the installation of such appliances, bearing in mind the features peculiar to them. Large-scale kitchen appliances and appliances powered by gas containing toxic components must be equipped with the aforesaid device. Appliances must be so constructed that, when used normally, flame stability is assured and combustion products do not contain unacceptable concentrations of substances harmful to health. Appliances must be so constructed that, when used normally, there will be no accidental release of combustion products. Appliances connected to a flue for the dispersal of combustion products must be so constructed that in abnormal draught conditions there is no release of combustion products in a dangerous quantity into the room concerned. Independent flueless domestic heating appliances and flueless instantaneous water heaters must not cause, in the room or space concerned, a carbon monoxide concentration likely to present a danger to the health of persons exposed, bearing in mind the foreseeable duration of their exposure. Appliances must be so constructed as to ensure rational use of energy, reflecting the state of the art and taking into account safety aspects. Parts of appliances which are intended to be placed in close proximity to the floor or other surfaces must not reach temperatures which present a danger in the surrounding area. The surface temperature of knobs and levers of appliances intended to be manipulated must not present a danger to the user. The surface temperatures of external parts of appliances intended for domestic use, with the exception of surfaces or parts which are associated with the transmission of heat, must not under operating conditions present a danger to the user and in particular to children, for whom an appropriate reaction time must be taken into account. Without prejudice to the Community rules in this area, materials and components used in the construction of an appliance, which may come into contact with food or water used for sanitary purposes, must not impair their quality. (1) OJ L 374, 27.12.2006, p. 10. 1.1. The EC type-examination is that part of the procedure by which a notified body checks and certifies that an appliance, representative of the production envisaged, meets the provisions of this Directive which apply to it. 1.2. The application for type-examination must be lodged by the manufacturer or his authorised representative established within the Community with a single notified body. the design documentation, as described in Annex IV. The manufacturer must place at the disposal of the notified body an appliance, representative of the production envisaged, hereinafter called ‘type’. The notified body may request further samples of the type if needed for the test programme. The type may additionally cover variants of the product provided that those variants do not have different characteristics with respect to types of risk. perform, or have performed, the appropriate examinations and/or tests to check whether the applicable standards have effectively been applied where the manufacturer has chosen to do so, thereby assuring conformity with the essential requirements. 1.4. Where the type satisfies the provisions of this Directive, the notified body must issue an EC type-examination certificate to the applicant. The certificate must contain the conclusions of the examination, the conditions, if any, for its validity and the necessary data for identification of the approved type and, if relevant, descriptions of its functioning. Relevant technical elements such as drawings and diagrams must be annexed to the certificate. 1.5. The notified body must inform the other notified bodies forthwith of the issuing of the EC type-examination certificate and any additions to the said type as referred to in point 1.7. They may obtain a copy of the EC type-examination certificate and/or its additions and on a reasoned request may obtain a copy of the Annexes to the certificate and the reports on the examinations and tests carried out. 1.6. A notified body which refuses to issue or withdraws an EC type-examination certificate must inform the Member State which notified it and the other notified bodies accordingly, giving the reasons for its decision. 1.7. The applicant must keep the notified body that has issued the EC type-examination certificate informed of all modifications to the approved type which might affect conformity with the essential requirements. Modifications to the approved type must receive additional approval from the notified body that issued the EC type-examination certificate where such changes affect conformity with the essential requirements or the prescribed conditions for use of the appliance. This additional approval is to be given in the form of an addition to the original EC type-examination certificate. The EC declaration of conformity to type is that part of the procedure whereby the manufacturer declares that the appliances concerned are in conformity with the type as described in the EC type-examination certificate and satisfy the essential requirements of this Directive which apply to them. The manufacturer or his authorised representative established within the Community shall affix the CE marking on each appliance and draw up a written declaration of conformity. The declaration of conformity may cover one or more appliances and must be kept by the manufacturer. The CE marking must be followed by the identification number of the notified body responsible for the random checks set out in point 2.3. The manufacturer must take all necessary measures to ensure that the manufacturing process, including final product inspection and testing, results in homogeneity of production and conformity of the appliances with the type as described in the EC type-examination certificate and with the requirements of this Directive which apply to them. A notified body, chosen by the manufacturer, must carry out random checks on the appliances as set out in point 2.3. On-site checks of appliances must be undertaken at random by the notified body at intervals of one year or less. An adequate number of appliances must be examined and appropriate tests as set out in the applicable standards referred to in Article 5 or equivalent tests must be carried out in order to ensure conformity with the corresponding essential requirements of this Directive. The notified body shall in each case determine whether these tests need to be carried out in full or in part. Where one or more appliances are rejected, the notified body shall take the appropriate measures to prevent the marketing thereof. The EC declaration of conformity to type (guarantee of production quality) is the procedure whereby a manufacturer who fulfils the obligations in point 3.2 declares that the appliances concerned are in conformity with the type as described in the EC type-examination certificate and satisfy the essential requirements of this Directive which applies to them. The manufacturer or his authorised representative established within the Community must affix the CE marking to each appliance and draw up a written declaration of conformity. This declaration may cover one or more appliances and must be kept by the manufacturer. The CE marking must be followed by the identification number of the notified body responsible for EC surveillance. The manufacturer shall apply a quality system that ensures conformity of the appliances with the type as described in the EC type-examination certificate and with the essential requirements of this Directive which apply to them. The manufacturer is subject to EC surveillance as specified in point 3.4. The manufacturer must lodge an application for approval of his quality system with a notified body of his choice for the appliances in question. documentation relating to the approved type and a copy of the EC type-examination certificate. the method of monitoring attainment of the required appliance quality and the effective operation of the quality system. The notified body shall examine and evaluate the quality system to determine whether it satisfies the requirements referred to in point 3.3.2. It will presume conformity with these requirements in respect of quality systems that implement the corresponding harmonised standard. It must notify its decision to the manufacturer and inform the other notified bodies thereof. The notification to the manufacturer must contain the conclusions of the examination, the name and address of the notified body and the reasoned assessment decision in respect of the appliances concerned. The manufacturer must keep the notified body that has approved the quality system informed of any updating of the quality system in relation to changes brought about by, for example, new technologies and quality concepts. The notified body must examine the proposed modifications and decide whether the modified quality system complies with the relevant provisions or whether reappraisal is necessary. It must notify the manufacturer of its decision. The notification must include the conclusions of the inspection and the reasoned assessment decision. A notified body that withdraws approval of a quality system must so inform the other notified bodies, giving the reasons for the decision. The purpose of EC surveillance is to ensure that the manufacturer duly fulfils the obligations arising out of the approved quality system. the quality records, such as inspection reports and test data, calibration data, reports on qualifications of the staff concerned. The notified body must carry out a check at least once every two years to ensure that the manufacturer is maintaining and applying the approved quality system and must supply a report of the check to the manufacturer. Furthermore, the notified body may make unannounced visits to the manufacturer. During these visits, the notified body may carry out tests on appliances or have them carried out. It must supply the manufacturer with an inspection report and, if appropriate, a test report. The manufacturer may supply the notified body's report on request. 4.1. The EC declaration of type conformity (guarantee of product quality) is that part of the procedure whereby a manufacturer who fulfils the obligations in point 4.2 declares that the appliances concerned are in conformity with the type as described in the EC type-examination certificate and satisfy the essential requirements of this Directive which apply to them. The manufacturer or his authorised representative established within the Community must affix the CE marking to each appliance and draw up a written declaration of conformity. This declaration may cover one or more appliances and must be kept by the manufacturer. The CE marking must be followed by the identification number of the notified body responsible for EC surveillance. 4.2. The manufacturer shall apply an approved quality system for the final inspection of the appliances and the tests, as specified in point 4.3, and is subject to EC surveillance as specified in point 4.4. Under this procedure, the manufacturer must lodge an application for approval of his quality system with a notified body of his choice for the appliances in question. the documentation relating to the approved type and a copy of the EC type-examination certificate. As part of the quality system, each appliance must be examined and appropriate tests as laid down in the applicable standard(s) referred to in Article 5 or equivalent tests carried out to check its conformity with the essential requirements relating to it in this Directive. All the elements, requirements and provisions adopted by the manufacturer must be documented in a systematic and logical manner in the form of measures, procedures and written instructions. This quality system documentation must permit a uniform interpretation of the quality programmes, plans, manuals and records. the method of verifying the effective operation of the quality system. The notified body shall examine and evaluate the quality system to determine whether it satisfies the requirements referred to in point 4.3.2. It will presume conformity with these requirements in respect of quality systems that implement the corresponding harmonised standard. It must notify the manufacturer of its decision and inform the other notified bodies thereof. The notification to the manufacturer must contain the conclusions of the examination, the name and address of the notified body and the reasoned assessment decision for the appliances concerned. The manufacturer must keep the notified body which approved the quality system informed of any adaptation of the quality system made necessary, e.g. by new technology and quality concepts. The notified body must examine the proposed changes and decide whether the amended quality system satisfies the relevant provisions or whether a reassessment is necessary. It must notify the manufacturer of its decision. The notification must contain the conclusions of the inspection and the reasoned assessment decision. A notified body which withdraws approval of a quality system must inform the other notified bodies that it has done so and give reasons for its decision. the quality files such as inspection reports and test data, calibration data, report on qualifications of the staff concerned. The notified body must carry out a check at least once every two years to ensure that the manufacturer is maintaining and applying the approved quality system and must supply a report on the check to the manufacturer. Furthermore, the notified body may make unannounced visits to the manufacturer. During these visits, the body may carry out tests on appliances or have them carried out. It must supply the manufacturer with an inspection report and, if appropriate, a test report. 5.1. EC verification is the procedure whereby the manufacturer or his authorised representative established within the Community ensures and declares that the appliances subject to the provisions of point 3 are in conformity to the type as described in the EC type-examination certification and satisfy the requirements of this Directive that apply to them. 5.2. The manufacturer or his authorised representative established within the Community must take all measures necessary in order that the manufacturing process ensures conformity of the appliances to the type as described in the EC type-examination certification and to the requirements of this Directive that apply to them. The manufacturer or his authorised representative established within the Community must affix the CE marking to each appliance and draw up a written declaration of conformity. The declaration of conformity may cover one or more appliances and must be kept by the manufacturer or his authorised representative established within the Community. All appliances must be individually examined and appropriate tests, as set out in the relevant standard(s) referred to in Article 5, or equivalent tests, must be carried out in order to verify their conformity with the type as described in the EC type-examination certificate and the requirements of this Directive that apply to them. The notified body must affix, or cause to be affixed, its identification number on each appliance and draw up a written certificate of conformity relating to the tests carried out. The certificate of conformity may cover one or more appliances. The manufacturer or his authorised representative must ensure that he is able to supply the notified body's certificates of conformity on request. Manufacturers must present the appliances manufactured in the form of uniform batches and must take all necessary measures in order that the manufacturing process ensures the uniformity of each batch produced. a limit quality corresponding to a probability of acceptance of 5 %, with a percentage of non-conformity of between 5 and 10 %. Where batches are accepted, the notified body must affix, or cause to be affixed, its identification number to each appliance and draw up a written certificate of conformity relating to the tests carried out. All appliances in the batch may be placed on the market except for those products from the sample which were found not to be in conformity. EC unit verification is the procedure whereby the manufacturer or his authorised representative established within the Community ensures and declares that the appliance concerned, which has been issued with the certificate referred to in point 2, conforms to the requirements of this Directive that apply to it. The manufacturer or his authorised representative must affix the CE marking to the appliance and draw up a written declaration of conformity which he must keep. The notified body must examine the appliance and carry out the appropriate tests, taking account of the design documentation in order to ensure its conformity with the essential requirements of this Directive. The aim of the technical documentation relating to the design of the instrument, as referred to in Annex IV, is to enable conformity to the requirements of this Directive to be assessed and the design, manufacture and operation of the appliance to be understood. If deemed necessary by the notified body, the examinations and tests may be carried out after installation of the appliance. manuals for installation and use. any other document making it possible for the notified body to improve its assessment. possession of civil liability insurance unless that liability is covered by the State under national law. Fulfilment of the conditions in the first two indents must be periodically verified by the competent authorities of the Member States or by bodies designated by the Member States.